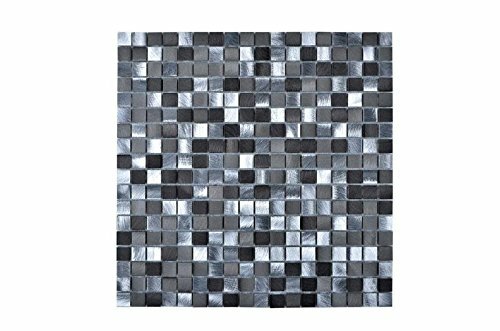 Legion Furniture MS-ALUMINUM19 Mosaic With Mix Aluminum Wall Tile, Gray/Silver by Legion Furniture at UCBC Group. MPN: MS-ALUMINUM19. Hurry! Limited time offer. Offer valid only while supplies last. Legion Furniture, based in sacramento, California, ranks among the top furniture manufacturers in the world, particularly regarding size and volume. Legion Furniture, based in sacramento, California, ranks among the top furniture manufacturers in the world, particularly regarding size and volume. We are in partner with iso 9001:2000 manufacturer in china, who has more than 3,000 workers and state of the art technology. We manufacture fine furniture with a reputation for exceptional styling and quality craftsmanship. If you have any questions about this product by Legion Furniture, contact us by completing and submitting the form below. If you are looking for a specif part number, please include it with your message.